FACT chairman Sarah Fisher, right, has been named as the Open Eye Gallery's new supremo. 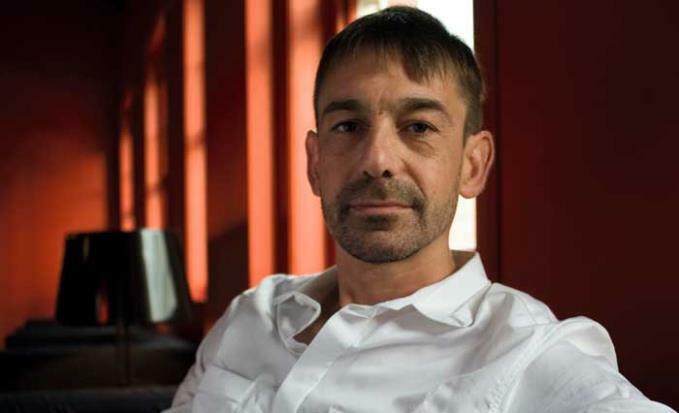 A former head of visual arts for Arts Council North West, Fisher will replace Lorenzo Fusi who is quitting the Mann Island gallery after reportedly increasing visitor numbers five-fold. He is off to "to undertake new international projects". Fisher, who will take up the baton in July, began her career as a London-based practising artist, undertaking international residencies and lecturing at the Slade School of Art and Chelsea College of Art and Design. She has a B.A. Fine Art (Winchester School of Art) M.A. Fine Art (Royal College of Art). She said: I am delighted and honoured to be given the opportunity to lead Open Eye Gallery - one of the most respected photography galleries in Europe. Fisher is currently working as a consultant with the Arts Council and is also chairman of Axisweb, Leeds. Notable recent work includes leading Manchester Centre for Chinese Contemporary Art where she worked with partners to exhibit Chinese artists in seven UK cities, including the largest exhibition of Chinese contemporary art in the UK to date, Harmonious Society, delivered across six venues in Manchester with audiences of over 250,000. According to the Open Eye, Fusi leaves it in tip top shape, having achieved a substantial increase in visitor numbers, and digital audiences. Under his tenure, Open Eye Gallery welcomed 56,517 people over the last financial year, it says, the highest figure to date since the gallery’s move to Mann Island, an increase of over 500 percent when compared to the gallery’s time in the Ropewalks area. Fusi curated, amongst other projects, the most visited exhibitions in the history of the gallery (Open Eye Gallery’s contributions to the 2012 and 2014 Liverpool Biennial). Following the recent success of Metamorphosis of Japan After the War, which closed on 26 April 2015, and welcomed over 16,000 visitors, the Gallery is currently installing the next exhibition: Open 1. This is the first in a series of three annual exhibitions, which offer a platform to showcase new work submitted via the Gallery’s Exhibition Submissions portal.